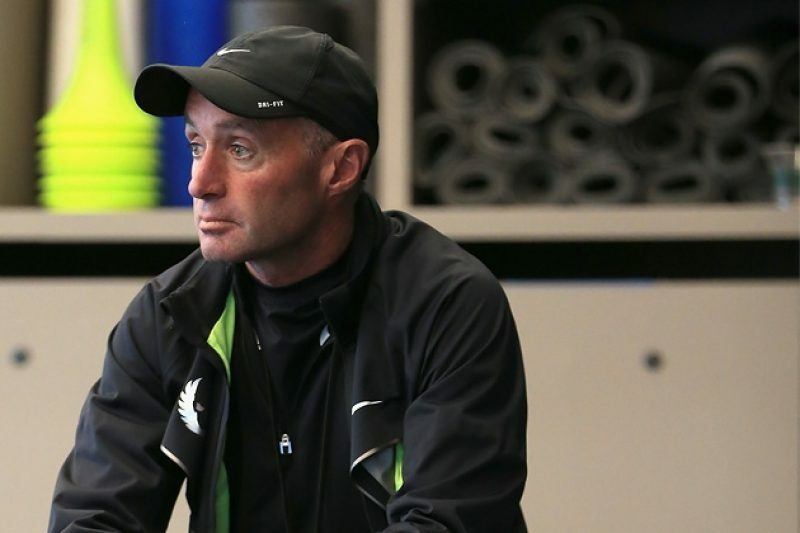 Three weeks after ProPublica and the BBC reported allegations that Alberto Salazar, the iconic coach of the Nike Oregon Project, had experimented with testosterone and broken drug rules, Salazar posted a detailed, two-part response on the group’s website. Salazar disputed several allegations that were not made in the stories, or inaccurately described allegations that were. He also confirmed others, admitting, for example, he tested testosterone gel on both of his sons. Salazar said the claims in the ProPublica and BBC stories are based on lies by disgruntled former athletes and employees or misunderstandings of his recommendations or conduct. “I will never permit doping. Oregon Project athletes must fully comply with the WADA Code and IAAF Rules,” Salazar said in the lengthy post. The three-time winner of the New York City Marathon said he had pushed himself so hard as an athlete that “I still suffer today the negative physical effects of my excessive training … but will not hurt my athletes like I hurt myself.” His athletes, he said, have appropriate documentation for any medications, and he has never helped an athlete gain a medical exemption or prescription they didn’t need. Salazar reserved particular ire for Steve Magness, a former Oregon Project assistant coach and current head cross-country coach at the University of Houston, who made several of the most contentious allegations. Magness told ProPublica and the BBC that he left the Oregon Project in 2012 by mutual agreement with Salazar after he became disillusioned with the coach’s approach to medicine. Prior to the publication of the initial stories, Magness provided ProPublica and the BBC with a “Mutual Termination of Contract” letter from Nike. The letter, dated June 27, 2012, starts: “Dear Steve, As discussed, both you and NIKE have decided to terminate your NIKE contract … As such, this letter shall acknowledge the mutual decision to terminate the contract, effective immediately.” The short letter ends with: “We would like to thank you for your association with NIKE. Should an opportunity present itself to work together again in the future, NIKE would welcome consideration of such an opportunity.” Emails from Salazar, provided by Magness, express “complete confidence” in him just one month earlier. Former Oregon Project assistant coach Steve Magness’s mutual termination letter with Nike. View document. Salazar was provided with an extensive list of questions a month prior to the initial ProPublica and BBC stories. He only answered a select group of them. ProPublica and the BBC published a document showing that Rupp, who won the silver medal in the 2012 Olympics, had apparently taken prednisone during one time period when he was 16. The story did not report allegations of continuous use nor cite the age 15. Salazar also said the article falsely reported that Rupp had received therapeutic use exemptions [TUE] by manipulating the TUE system and that he had received “numerous TUEs for multiple different treatments.” TUEs are exemptions that are granted to allow athletes to use otherwise restricted drugs or treatments. No such assertions were made in the story. Salazar also noted that TUEs “are a rare occurrence in the Oregon Project.” No allegation about the prevalence of TUEs among Oregon Project athletes was made. Prior to the initial stories, Salazar told ProPublica and the BBC that the notation was a mistake, and that Rupp was actually taking a legal dietary supplement meant to boost testosterone called Testoboost. In his current response, Salazar says that Rupp “does not recall exactly which supplement he took in 2002. It could have been Testoboost, Alpha Male, Tribex, or ZMA.” All are supplements meant to naturally boost testosterone. Magness told ProPublica and the BBC that when he asked Salazar at the time to explain the document, Salazar called Loren Myhre, the scientist who made the notation, “crazy” and said he would get it clarified. Magness said he never did. Myhre died in 2012 from ALS. Salazar’s response, which includes links to a number of redacted emails, does confirm claims made in the initial stories. Magness, for example, told ProPublica and the BBC that, before a race in 2011, Rupp used prednisone to treat asthma, but was denied a TUE. Rupp took the medication anyway, and Salazar sent Magness to the Mayo Clinic with a sample of Rupp’s urine to make sure it would not test positive for prednisone at the next race. Salazar’s account is consistent with the reports by BBC and ProPublica. As Magness said in the initial stories: “They did that to see if it tested positive.” Salazar also confirmed Magness’s contention that at times he hid prescription medications in books and magazines so that they would not be scrutinized by customs when he sent them internationally. In his response, Salazar said that he hid Nasonex for Rupp, who had a cough, in a paperback book and sent it to him in Dusseldorf, Germany. Nasonex is a glucocorticosteroid that is taken via an inhaled spray. Magness told ProPublica and the BBC that he received a hollowed-out paperback book that contained pills — not a nasal spray. Salazar had not previously responded to questions about whether he sent pills to Rupp in a hollowed-out book, and what those pills were. Salazar also confirmed that he tested a testosterone gel on his sons to determine how much would trigger a positive test. 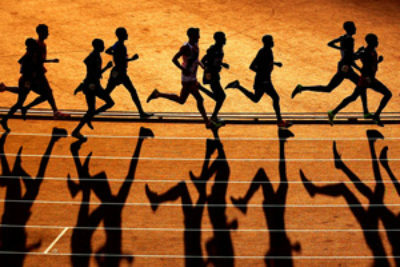 Salazar said that Jeffrey Brown, a Houston endocrinologist who works with Oregon Project athletes, “set up the experiment” to determine whether an athlete could be sabotaged if a competitor rubbed testosterone gel on them surreptitiously at a race. Salazar did not respond previously when asked if the testing occurred and how it would be useful, but ProPublica and the BBC both previously reported that several members of the Oregon Project were told it was to counter sabotage. In an interview, Brown said he did not prescribe a controlled substance for Salazar’s sons or other research subjects as part of an experiment. “No, absolutely not,” Brown said. “I didn’t do that, and would not do that. I would never do that.” He said that he was merely advising Salazar on how to conduct research on potential sabotage “in a hypothetical situation.” He said that Salazar’s exploration of potential testosterone sabotage was “admirable.” When asked whether Salazar was using his own prescription for testing on his sons, Brown declined to comment citing medical privacy laws. Salazar disputed an account, corroborated by other sources, by former Oregon Project athlete Kara Goucher that Salazar had told her how he could coach Rupp to get a TUE for an IV infusion at the 2011 world championships. “Kara Goucher’s claim that someone can make a couple of statements to a doctor and get a TUE is absurd,” Salazar says in his statement. But Goucher’s contention was that Salazar explained the symptoms that Rupp would have to feign, including dehydration and an inability to drink. Following the release of Salazar’s response, a former Nike employee who worked with the Oregon Project contacted ProPublica and said that he too had heard Salazar attempting to obtain an IV infusion for Rupp. “Galen was always ‘dehydrated’ right before a big race,” the former employee said. “Alberto was going crazy” when he was unable to obtain an IV for Rupp prior to a race in 2010, the employee added. A former member of the U.S.A. track and field medical staff also contacted ProPublica and said that Salazar became angry in 2008 when Rupp wasn’t given an IV at the Beijing Olympics in hot and humid conditions. Salazar and Rupp were presented with every allegation in the ProPublica and BBC stories in writing 27 days prior to publication, and neither responded at that time to questions about obtaining IVs. ProPublica and the BBC also reported a claim by John Stiner, a masseur who formerly worked with Oregon Project athletes, that Salazar had him ship testosterone to him and claimed it was for his heart — Salazar had a heart attack the prior year--an explanation Stiner doubted. In his response, Salazar said that he has a prescription for Androgel, but denied saying it was for his heart. In his response, Salazar said that the testosterone was for “preserving my energy,” and published emails showing his discussions with physicians about it. On Wednesday, Stiner told ProPublica: “I told 100% the truth. I’ll take 20 lie detector tests. Of course he said I’m lying.” Neither ProPublica nor the BBC contended that Salazar was not prescribed testosterone, and Salazar did not respond to questions regarding the reason he would be prescribed testosterone. Paul Thompson, Director of Cardiology at The Athletes Heart Program and Cardiovascular Research at Hartford Hospital, and a former Olympic Trials marathon qualifier, told ProPublica that he “would try very hard never to prescribe testosterone” for someone with heart problems, due to evidence that it could increase the risk of heart attack. Thompson was commenting generally, not with respect to Salazar’s medical conditions. Salazar’s response also addressed whether athletes were urged to take prescription medications they didn’t need. He said “athletes are not pushed to take medications.” Numerous athletes told ProPublica that they were encouraged to take medications that they hadn’t taken before, or in a manner not consistent with what a doctor recommended. Salazar noted that only eight of the 55 athletes he has coached have been diagnosed with asthma. One of the allegations that ProPublica reported was that athletes who were not diagnosed with asthma were still offered inhalers. Salazar said in his response that “asthma medication has been proven not to be performance enhancing.” There is some evidence that albuterol inhalers acutely improve muscle performance — but not aerobic endurance in non-asthmatics — and studies suggest that corticosteroids can increase oxygen uptake and are a doping risk. Following the initial ProPublica and BBC reports, a number of athletes and former athletes contacted ProPublica and expressed concern about how Salazar had recommended they use asthma-treating corticosteroids. One of those athletes is Lauren Fleshman, who spoke openly about her misgivings when Salazar told her to use a corticosteroid in a manner that was contradicted by her doctor. “Turning illness into an advantage was not right,” Fleshman said.